Cool! I have all green or yellowish green fruits. I hear P. caerulea has orange/red fruits when ripe but I believe they’re inferior to incarnata. I’ve been mourning the last couple days because one of my mature vines with several fruits seems to suddenly be dead - fruits and leaves shriveling up as if the vine had been cut. However, no sign of damage that I can find. How big or mature do these vines need to be before they produce fruit? I bought a small vine from the nursery about 2 or 3 months ago. I have replanted it into a bigger and deeper pot. The pot is a little bigger than a 6gal paint bucket. It has grown 2x longer/bigger. The main stalk is about 1/2'' think. In my experience, there is no maturity requirement - they fruit for me in first season from seed. Not really a magic size in my experience either. I think the plant just has to be happy, and that means as much sun as you can possibly give it (6 hours minimum), proper water levels (I think drier is better) and adequate nutrition. I have come to conclusion that they don’t like chemical fertilizers. I have had best luck with fish emulsion or organic granulated like Holly Tone. I have also had limited success with pots. I have had fruit on potted vines but they much prefer being in the ground. Out of all that I think sun is the most important. Also you may have a risk of too much pot. They don’t need that much room at a young age. You also run greater risk of overwatering and root rot. I’ve had flowers on vines in 4 inch pots. I think constricted roots may actually promote flowering but not sure. Mine tastes like pineapple and banana. More sweet than P. edulis. I got to taste one fruit from my vine, I got seeds from gooner 2-3 years ago from his wild collected fruits. And it does taste like pineapple(less banana) or maybe a virgin pinacolada with little drop of acidity so very nice to eat out of hand! no need to add sugar or honey, but my vines are small so maybe later the sweetness will be higher.. Sorry forgot to take a photo..
That's awesome! so exciting to taste something for the first time, especially when you grow it yourself. I can see the pineapple a little bit. The flavor for me is hard to describe. I just noticed a little banana myself, actually, in one of my vine's fruits this year. Particularly the aroma, more than the taste. I feel like there's an orange juice (i.e. out of a bottle) taste aspect. As for fruit quality changing or variation. This has been my experience so far in a few years growing these: the first one or two fruits a vine produces each year are usually not very tasty. After that, the flavor improves during the season. Toward the end of the season the fruit quality can decline a bit too. Drier fruits perhaps but maybe not as sweet. I also feel like the fruit should drop on its own and if found very soon, is best enjoyed about a day later. Fresh off the ground is good too though. after a couple days, the flavor declines and begins to take on a savory aspect. Addendum - Fruit size and shape, not surprisingly, are also variable across genotypes. Fruit can be spherical, ovoid, or even pointed at the base. Some of my vines can produce nearly tennis-ball sized fruit and others are like ping-pong balls (though the latter are hybrid vines). My maypop has started dropping its fruit. The fruit on the ground had alread passed maturity. To my disappointment, many were completely hollow. But also the ones that contain pulp are not completely filled with pulp/seeds. This is a fruit I picked from the vine. The taste was pleasant, tart and sweet. Would planting an additional plant improve fruit set and quality? 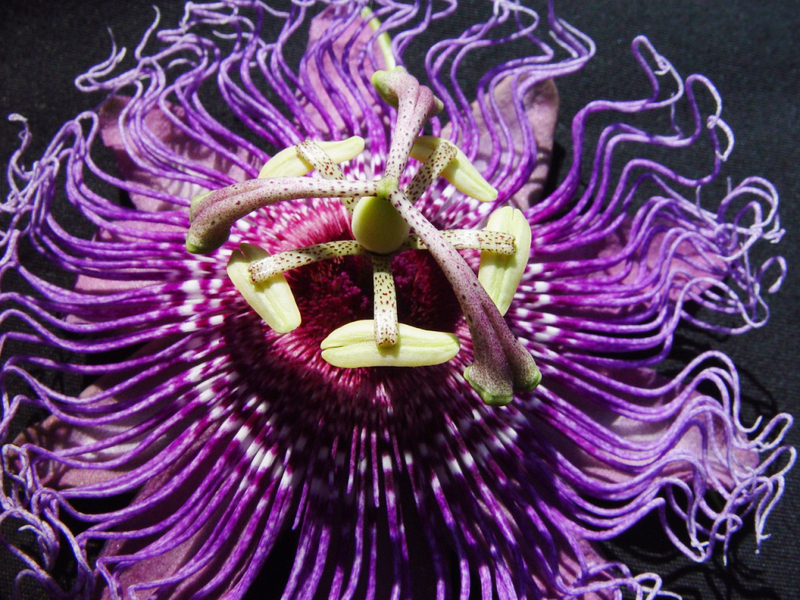 I assume you already have at least one other Passiflora,or you wouldn’t have had fruit at all? I believe to have good fruit set and fruits that aren’t hollow, you need multiple vines of different genotypes. You can also hand-pollinate to increase pulp in the fruits. It appears from the picture that the fruit was not quite ready. When fully ripe most pulp will have at least some yellow coloration, and the seed sacs will be softer. I believe the only time fruit should be picked is if it has a clear fruity aroma. Otherwise it’s too soon. I let mine drop always but I have a fence to keep our animals. Very excited for you though! Thank you for sharing. Were these your first fruits? Yes, these were my first fruits and no, I only have one plant but with various vines. There appear to be some (partially) self-fertile strains. Check out the cultivar known among the French as "Loryane" for example (I am yet to find seeds of this one). The seeds/pulp from the fruits on the ground were yellowish but the thing is that I thought the taste was a bit off.. like they were overripe. That's why I picked one that was still on the vine. And as I said, many were hollow. I am excited nonetheless. Passion fruit and Switzerland aren't two words that usually go toghether. Congrats on your first fruits. Yes - After a couple or 3 days the fruit begins tasting off. Tropical hybrids like Iridescence are an exception to this. I selected this one for outstanding blooms. Very nice. That looks similar to my Iridescence hybrid. 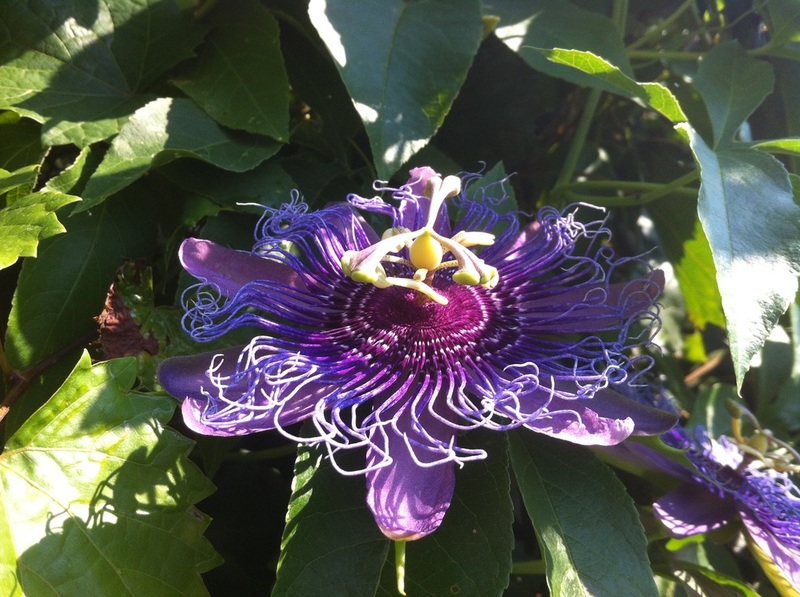 Do you have any hybrid Passiflora nearby?